The Presidency announced this following the release of the controversial report on November 2. President Jacob Zuma has decided to challenge the public protector’s State of Capture report in court. 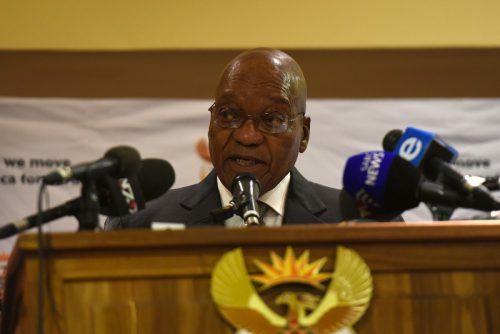 In a statement released on Friday afternoon, the presidency said: “The president [Zuma] has considered and also sought legal advice on the contents of the report as well as the remedial action to be taken. “The legal advice given and which advice has been accepted by the president is to take the remedial action on review,” it said. Zuma’s legal team was working on the review application to be served and filed within the time periods prescribed by the law. The Promotion of Administrative Justice Act 3 of 2000 provides that any proceedings for judicial review must be instituted without unreasonable delay and not later than 180 days from the date that the reviewable action was concluded. Constitutional law expert Pierre de Vos said while the former public protector Thuli Madonsela’s report, released just before she left office, was binding, Zuma could still challenge it. “He can ask a court to see if the report is rational or irrational… The court will consider it and the president has a plausible argument… that the public protector usurped his power which [is his] solely to appoint a commission of inquiry,” de Vos said. Madonsela’s report was first fraught with controversy and led to a legal wrangle over political attempts to have it interdicted. The report relates to the power of the wealthy Gupta family, who are friends of Zuma, to influence, hire and fire government officials. In the report, Madonsela recommended a judicial commission of inquiry over which Constitutional Court Chief Justice Mogoeng Mogoeng should have the ultimate say in terms of who should preside in it. Zuma this week told parliament that not even the public protector could tell him that a commission of inquiry had to be convened. “That report was done in a funny way, no fairness at all. You heard me telling my story, how I was treated in the process of this report,” he reportedly said. It was unfair that he had not been given ample time to respond to the public protector, Zuma argued.